Parody videos are not always good, but when they have a clever concept and are executed effectively they can be epic. 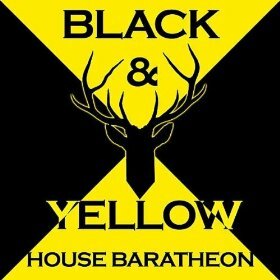 This is the case when it comes to Backflip Wilson's 'Black & yellow: The Baratheon Edition'. They take Wiz Khalifa's popular song that gave props to his hometown of Pittsburgh & flip it (see what I did there? Backflip Wilson "flipping" the track? Damn I'm good at this writing stuff!!!!) and use it to rain props down upon one of the more powerful houses in George R.R. Martin's A Song of Ice & Fire series. Brothers Stannis, Renly, and Robert are all representing 'The Stag' hard body on this one, killing it with lines like "No Lions & Dragons... better refill my flagon". This is great fun for any fan of Game of Thrones. Enjoy the film after the jump.